Codeta - The best live casino in the world. Huge cashback Bonus! Table games have recently become the new black within the world of online gambling. There is no coincidence to see a launch of a brand new UK casino with a clear focus on table games such as Blackjack and Roulette. Codeta feels very exclusive and very stylish. Since their focus solely is on live casino the Vegas-feeling is tangible! According to the founders of Codeta, the meaning of the word is unique but has gotten its inspiration from the French expression Cop d’état. It is with tongue in cheek, the founders mean that Codeta is their well-planned coup to the gaming industry, launching the best live casino possible. After registration and first deposit, Codeta will top your account with an additional £10. Not an astronomical figure but something extra to play for regardless of how big the first deposit was. After that is your first week at Codeta important for the rest of your bonus so pay attention. All customers will receive cash back bonus or a top up of the results for the first week where the cash back will be paid out eight days after your first deposit. Cash back means that you will get 10% of your losses refunded. Top up means that your winnings will be topped up with 10%. The good thing with this is that you will get something regardless if you win or loose. The amounts are quite impressive, both the cash back and top up reaches up to £5000. Also worth noticing is that this bonus is handed out without any wager requirements, something that makes Codeta a unique casino site. If you are a slot-fanatic, there are other slot sites that better can fulfill your needs. At Codeta, the live casino is what you will find and what they are good at. Of course, you can also choose to play traditional slot machines, but their selection is nothing to brag about. Instead, the range of different table games is astonishing. With more than a hundred different tables to choose, they offer all types of Roulette you can imagine. With dedicated tables from all relevant game providers and more VIP tables than you can find at any other casino, Codeta is truly amazing. At Codeta you can also find live tables for more niched games such as Three Card Poker, Casino Hold’em and Caribbean stud. If you are new to live casino, some tables such as Immersive roulette might need an explanation. At Codeta, Immersive Roulette means that multiple cameras record the croupier and surrounding environment to create an experience so authentic as possible. When playing, you will see the roulette table displayed from the angles you want to see where the cameras for instance zoom in when the ball drops down into a pocket. Codeta also collaborates with Authentic Gaming which has developed a software where the table is placed in a real land based casino. By that, you can play online at the same table together with customers of the real casino. Back in the days, Roulette and other table games were best played while sitting at a computer. However, the mobile solutions at new casinos have decreased the gap. 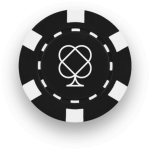 Playing Roulette using an iPad or other tablets at Codeta is a smoother experience compared to other desktop options. Codeta is utilizing a responsive design where the site gets adjusted on what device you are using. The feature and smoothness of responsive design are the same regardless of what operating system or type of phone you use. 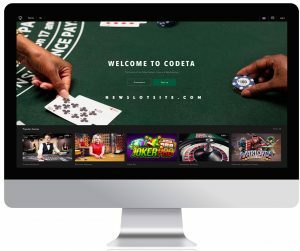 Codeta is very ambitious with their “coup” towards the casino industry and strives to become the best casino site for customers who want to enjoy a live casino, playing classic table games. On their website, you can see the owner Edward Ihre posing together with his team which implies that they are a serious actor, honest and a safe choice. Codeta also writes that transparency is key to loyal customers. Meaning that they will not hide or be unclear with any terms or conditions or in any way trick their customers with small print details. Promises with that no hidden fees will occur and having a native UK support available daytime answering all possible questions that may arise. The technology for a live casino has improved the past years significantly and is quite similar to the experience you get in a real casino. The gaming providers NetEnt and Evolution Gaming are investing a lot of time and resources to develop new and better solutions for a live casino. Hence, it is fun to see an operator with a clear focus on the live casino. Overall, Codeta has launched a promising casino, which will be really interesting to follow. The cash back set up may be a bit complicated but also something good if you play for significant amounts. To summarize it, Codeta is the obvious choice when playing Roulette or Blackjack online.